We like to categorize things. Recruiting happens one way in the U.S.; in Europe, there are differences X, Y, and Z, and in Asia, there are differences A and B. But these rules of thumb rarely hold up in real life because so many industries are hyper-local. Private equity differs between different states in the U.S., and it differs vastly between different European countries. A: I’m originally from a country in the CEE region and attended a target university in the U.K. I had no interest in M&A or private equity initially because they seemed too competitive, and I didn’t know anything about the industries. But then I started reading your site and learning more, and I was inspired to start networking. I returned to the CEE region after graduation, and I began reaching out to bankers on LinkedIn to set up informational interviews. Since it was a small and specific market, I got a response rate of over 50%. After a few months, I won an offer from an M&A advisory team at a major bank. I worked in investment banking for about three years and then networked my way into a middle-market private equity fund here (between €5 and €10 billion in AUM). I stayed there for a few years and then moved to a smaller PE fund. Q: Great. Can you define what “Central and Eastern Europe” means and explain how the finance industry there began? A: “Central and Eastern Europe” refers to countries like Poland (the biggest economy in the region), the Czech Republic, Slovakia, Hungary, Serbia, Romania, Bulgaria, the Baltic States, and other countries in the Balkans. After 1989, most state-owned companies in this region were privatized locally or sold to big international companies. It was especially pronounced in industries like utilities, steel, and manufacturing. In this period, the big banks and the Big 4 firms worked on many lucrative privatization tenders. “Local privatization” allowed individuals to acquire stakes in big businesses, and some of these individuals became successful investors and now deploy their funds internationally. But privatization is mostly over (as of 2017), so most banks have downsized their CEE teams. Bulge-bracket and elite-boutique banks like Deutsche Bank and Rothschild cover the CEE region from London or Frankfurt, while European “In-Between-a-Banks,” such as Erste, Raiffeisen, and UniCredit, cover the region from Vienna. Q: Thanks for that historical perspective. How do most people get into private equity in the CEE region, and what types of candidates are firms seeking? A: First, note that private equity does not have a great reputation here, so PE firms are not the most prestigious employers. In the early 1990s, some PE funds were involved in “asset stripping,” which caused important regional employers to shut down; large funds here also have political ties and have been accused of involvement in major corruption scandals. As a result of that reputational damage, the candidates are a bit different. Undergraduates and Master’s students who get into PE right after graduation. Former consultants from the Big 4 firms. That list is the opposite of what you’d expect in a developed market, and I’m not sure group #2 would be there at all in the U.S.
Financial modeling, valuation, and due diligence skills. Most juniors who enter the industry understand #1 but not #2, which is a big problem since 50% of their projects will be operational work with portfolio companies. It’s also one reason why I advise against entering PE in this region right out of school, even if you can do so! Q: Interesting… but we’ll return to that point later on. Are there any differences in interviews and case studies there? A: Not really. Just as in the U.K., you’ll get screening tests with logic, math, and financial questions, followed by assessment centers and group case studies. The case studies often relate to qualitative evaluations of businesses rather than financial modeling exercises. For example, they might give you a few pages of description for a company that does payroll processing and administration, along with its historical and projected financial statements. And then they’ll ask to describe the positives and negatives of the business model, the key risks, the amount you’d be willing to pay for the company, and whether or not you’d do the deal. You might read the information, plan your recommendation, and present it in front of a Partner and the other interviewees. If you pass that round, you’ll move to the final round with the Partners, where they focus on your motivation for wanting to work in PE. The entire process is similar to off-cycle recruiting at smaller firms in the U.S. and U.K. The best way to stand out is to research a local company very well, build a model for it, write a recommendation, and walk in ready to explain it to the interviewer. Q: Thanks for that description. You mentioned that PE funds there focus more on operational improvements, but what else is different about the industry? 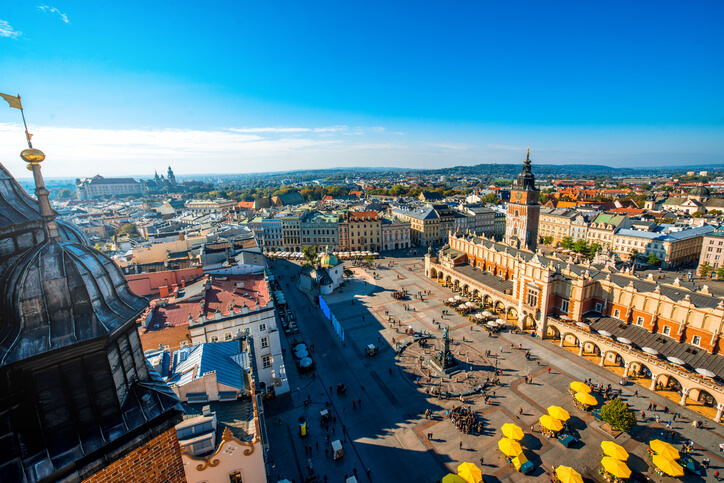 A: First off, most of the private equity funds here are regional; some international mega-funds are present in Poland but not the other countries. At these regional funds, the owners are also the operators, so the traditional GP/LP (General Partner/Limited Partner) split does not exist, and the equity comes from the owners. There are ~€1 – €2 billion worth of private equity deals in the region each year (from ~100 or so individual deals). Those figures are for the entire region, which tells you how much activity there is: A country like France has 10x the deal volume each year. Traditional buyout funds are the most common ones, and there are relatively few venture capital and growth equity funds and almost no mezzanine funds. Most of the deals here relate to industry consolidation. For example, a PE fund might acquire several smaller players in a market, combine them, eliminate redundancies, and then sell this rolled-up company or take it public. From 2000 to 2010, many economies here were growing at 5% – 10% per year, so plenty of PE funds succeeded on the back of strong economic growth. But as growth rates have slowed down and regional funds have grown, many firms have begun to focus on specific industries and operational improvements. Q: Thanks for that run-down. If there’s more of an operational focus, what does that mean for your average day and the tasks you complete? A: The biggest difference is that junior team members (Analysts and Associates) are divided into ones who focus on valuation and modeling (“modelers”) and ones who focus on deals, due diligence, and managing portfolio companies (“dealmakers”). Junior team members do a mix of both in developed markets, but they’re separate roles here. The junior dealmakers work on two main tasks: Add-on acquisitions and operational projects. “Operational projects” include outsourcing accounting functions, setting up call centers, recruiting executives, and helping companies expand into new markets. You might have to write memos and organize meetings for these projects, or you might have to lead the projects independently and report the results to the CEO or Partner. In add-on acquisitions, you do everything: You gather due diligence, review red-flag reports, value the company, prepare investment memos for the Partners, and negotiate the purchase agreement. Regardless of the role, you split your time between meetings and Excel/valuation work. The difference is that on the operational side, you meet with portfolio company management, but with add-on acquisitions, you meet with the due diligence teams and target companies. The hours are less than in the U.S. or U.K., but you’ll still be working all day on weekdays and “on call” on weekends. The average might be 60-70 hours per week. Q: I see. Are there fewer exit opportunities because of the heavy operational focus? A: Exit opportunities are more limited, but it’s not exactly because of the operational focus. The problem is that you gain a very broad skill set that doesn’t translate well into specific jobs at companies. Many juniors go to Big 4 Transaction Services teams; others go to standard companies in functions such as controllership or corporate development careers, and others join smaller PE funds. Moving to another region would be a logical move as well, but I’ve only seen one colleague do that. Larger firms in other countries often “discount” emerging markets experience, and many people in CEE are here for family/personal reasons and don’t want to leave. Senior team members who leave are, effectively, unemployable, so they tend to start their own companies. In rare cases, they join large, normal companies in the region. Q: OK, thanks for clarifying. Earlier, you advised against entering private equity in the CEE region right out of school, and you’ve mentioned a few negatives of the job. But there must be positives as well – how would you summarize the trade-offs? The Chance to Transform Industries: You get to take grossly mismanaged, state-owned companies and make them more efficient and improve consumer choice (See: Healthcare in CEE). Access to Top Executives: You get to interact with some of the top CEOs and managers that PE funds hire for their portfolio companies. Compensation: These are high-paying jobs, and some people who join early on can achieve financial freedom in their 30’s. Remember that the cost of living in most CEE countries is far lower than in Western Europe or the U.S. Note, however, that the compensation for junior employees (Analysts and Associates) is far lower than in developed markets; it might range from €40K to €60K at the large funds, with a lower and more random range at boutiques. Senior professionals have a much higher earning potential because of carry, which explains my comment above about financial freedom. You Won’t Be Qualified to Do the Job: In theory, you work on “operational projects,” but in reality, hardly any junior team members know a company’s business well enough to do anything useful. Senior staff and executives end up doing a lot of the work. Some PE firms also bring in industry experts or operational Partners focused on a specific area, such as lean manufacturing, to do this work. As a junior professional, you might provide analytical/project management support for them, but you’re not as directly involved. Limited Training: You have to learn everything on the job because the Partners are too busy to train you. Nepotism: There are almost always “family ties” between employees and Partners, so your ability to advance depends not just on your work, but also on these connections. Little Operational Skill Set Development: You’ll get quite good at valuation and deal analysis, but you won’t gain enough specialized knowledge to move into a management role at a company, for example. So, should you avoid CEE private equity funds altogether and aim for roles in the U.S. or U.K. instead? A: I wouldn’t say that; I would just say that you should not join one of these funds straight out of undergrad or a Master’s program. You’re better off working in investment banking, management consulting, or even at a normal company, and then moving into a private equity career from there. There are relatively few qualified professionals in this industry in CEE, so if you’re from this region and you’re motivated enough to get the job, you can get a lot out of it. But your exit opportunities will be limited unless you have solid prior experience. Q: Great! Thanks for clarifying, and for your time. I am from Spain and I would like to read the experience of a IB/PE or consultant fron the region. I am from Barcelona and I have no idea about hos is the industry in the nears of Madrid. Would love to try out CEE for a PE internship experience, would it be possible to get the interviewee’s contact? Please email us by responding to a newsletter or other announcement and we can request this. So I’m a freshman at a target, and my friend and I are looking for a way to show finance interest while also differentiating ourselves from every other finance robot. We have an idea to start an online “search fund” – basically we want to go through the process of buying and selling an online business (probably through flippa.com) because we believe it’s more relevant to investment banking than simply joining an investing club or investing our own money in the stock market. Do you think this is a good idea, or does this strike you as more “entrepreneurial” than finance related. We don’t want to go through all the work just to have interviewers think that its not relevant whatsoever to investment banking. The only problem we have with is it, once we buy the business, we will be spending most of our time on internet marketing (SEO, FB ads) to improve the business for the sell point, which is not relevant to IB. I would say that’s a waste of time unless you’re planning to spend very little time on it and just use the experience to win other internships. Thank for the article. Been reading your articles for years, you are doing a great job. I had a small question on you. I am from EMEA and very often, banks ask what other banks I am interviewing (applied to) with. I would like to ask why they ask this, what they want to find out and how to best approach this question. Should we say the truth and say that we applied to every single bank possible? Name the banks we interviewed with? Or name all the ones that starting interviewing to give an impression we were selected for an interview at all of them? Or should we on the other hand say we are only interested in the one bank that we have the interview with? I was thinking that maybe if they see that we interview with a stronger bank as well, they might not give us an offer as they might think we will not accept it? They want to know that you are interviewing with peer banks and have a reasonable chance of landing an offer at one of them (just like high school, everything is a popularity contest). Don’t name every bank you applied to, just ones that are similar to the bank you’re interviewing with and say that you’re currently going through interviews with those firms. They want to make sure that a) Some banks are interested in you; and b) That you’re not going to get an offer at GS/MS/JPM and accept that offer over an offer from this bank if this bank is much smaller or otherwise has a worse reputation (for example). Hi Brian, I know this is a somewhat stupid question, because there are so many other factors besides compensation that lead to a rewarding career, and so many differences between individual capacities. But, if someone wanted to choose a career that gave them the best shot at making the most money, would it make sense to choose medical route or the banking – PE route if you’re from America. So many specialized doctors make a guranteed $500k + a year, but I’m not sure how many students at targets ending up making that amount in the finance world. I’m just not sure if it with the current outlook in finance it’s reasonable to expect to make more over your career in finance as opposed to specilized medicine. Thanks so much, fantastic website. If you’re deciding between medicine and finance based on money, you’re thinking about it in completely the wrong way. This is not like comparing two similar positions with slight differences in compensation; medicine and finance are completely different worlds. Quite a few people earn at least $500K in finance. I don’t know the exact percentage, but let’s just say that if all you care about is money, you should go into the finance industry. The medical industry has a poor outlook in the U.S. due to malpractice insurance, the inevitable breakdown of the entire system in the future, etc. It’s only worth it if you actually like the work and want to help people. Hey. Firstly, thank you very much for conducting an interview and running this site – helped me a lot! I am a reader from CEE region (Poland) studying in a target/semi-target uni in the UK with an M&A internship experience. I want to come back to work in CEE region after graduation and am considering PE. Any chance to connect to the person from the interview? Sure, I can put in a request and ask if he’s willing to share contact information. I am a U.S. MBA student graduating in December with both Financial modeling expertise and the operational expertise discussed in the article. I would be very interested in working for CEE private equity funds, but am unsure where to start looking. Do you have any suggestions of where to start? You need some type of connection to the region to be hired there… otherwise, they have no reason to pick you over a candidate from one of those countries. Operational experience helps, but they would still rather hire someone based in Europe. Also, I’m not sure you’d really want a job that pays EUR 40-60K after graduating from an MBA program. It’s not ideal for MBA grads with work experience. If you actually want to work there despite all that, look at the Preqin reports on PE activity in that region and pull names from there. Or get Capital IQ and look up firms by region.